The UK is leading the way in eCommerce and whether you are a B2C or B2B business, more and more of your customers prefer to do business with you through digital channels. The importance of eCommerce means that it can no longer be thought of as a silo in your business, but needs to be an integral part of your business processes from procurement through manufacturing or packaging and distribution. At Codestone we understand the real-time nature of eCommerce and combine this with expertise in SAP eCommerce Integration to enable our customers to unlock the true potential of their digital business. We help them be innovative in terms of routes to market and highly efficient in terms of order fulfilment, stock management and financial management. SAP Business One and SAP eCommerce Integration provides the perfect foundation for your eCommerce business. It provides the hub for stock management, distribution and order management which can be seamlessly extended to support ecommerce across every channel. eCommerce integration for small to midsized businesses can be achieved through the utilisation of accredited SAP Business One tools, allowing you to quickly extend your channels to market. For companies with existing eCommerce platforms in place, such as Magento, we enable you to enhance their capability through our extensive SAP Business One integration experience. 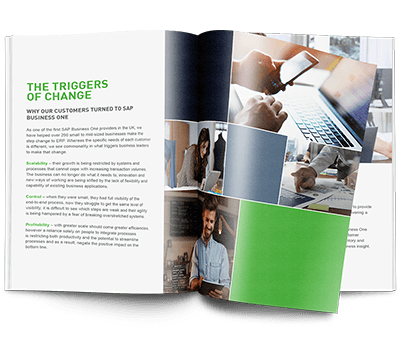 For organisations that are utilising multi-channels such as Amazon or eBay, we support this through the capabilities of SAP eCommerce Integration to release stock to channels or assist you by seamlessly integrating SAP Business One into your existing multi-channel platform. We help retailers to gain real-time visibility and control by extending SAP eCommerce Integration and SAP Business One all the way to the point of sale with SAP EPOS software or through integration into existing EPOS system. This enables stock management to be virtualised across all locations and real-time management of each and every purchase. Whether your customers are entering stores, purchasing online or through multi-channel, by tying the sale to the customer within SAP Business One we are able to provide you with valuable insight into your customers. You are able to identify customer characteristics and buying patterns essential in targeting your marketing and customer relationship activities. Customer Service is key for customer loyalty, referral and repeat business. By providing your customer service team with full visibility of the customer and what they have purchased not only enables them to be more efficient in their role, it also enables them to be far more effective and deliver the right customer experience. With the financial and distribution reports produced, we have greater control over the business, as we know exactly what we have in stock, and every penny is accounted for. Through connecting digital ordering directly with stock management and payment processing you streamline both order management and the customer experience. Through placing customer intelligence within eCommerce you convert more orders as well as increase order values. Through better aligning supply and demand you are able to reduce inventory levels across all locations while ensuring that you avoid stock-outs.